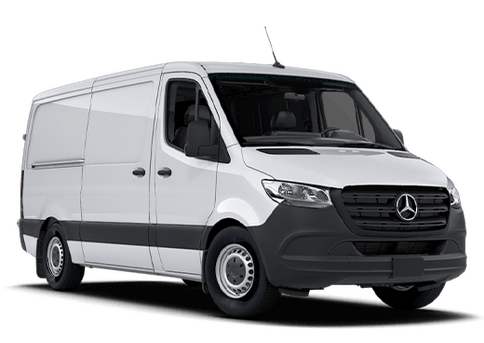 Is the Mercedes-Benz Sprinter available as a 4X4? Home » Mercedes-Benz Sprinter » Which Sprinter models have four-wheel drive? Which Sprinter models have four-wheel drive? Are you looking for a fleet van that has four-wheel drive capability? Then you may be wondering: Is the Mercedes-Benz Sprinter available as a 4X4? We have your answers right here, and we will even go in specific detail with each model. There are a total of five vans in the Sprinter lineup. 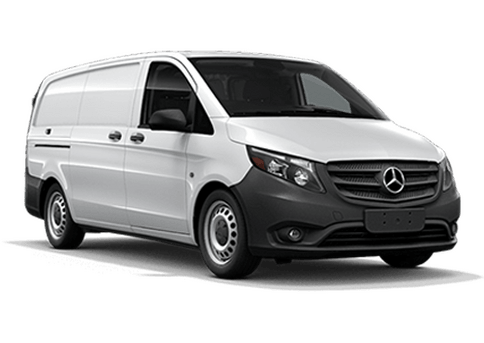 When you are looking to buy a van for your fleet, you can choose between the WORKER Cargo Van, the Cargo Van, the Crew Van, the Passenger Van, or the Cab Chassis. The only models that do not have a 4X4 option are the Worker Cargo Van and the Cab Chassis. We go into specific detail below. 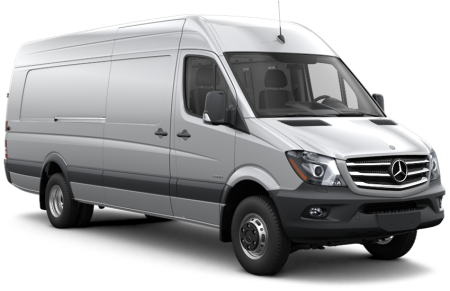 The Sprinter Cargo Van offers the most 4X4 options. The 2500 model has four-wheel drive available with a 144-inch wheelbase in both Standard Roof and High Roof, and the 170-inch wheelbase as it available on both normal and extended High Roof models. 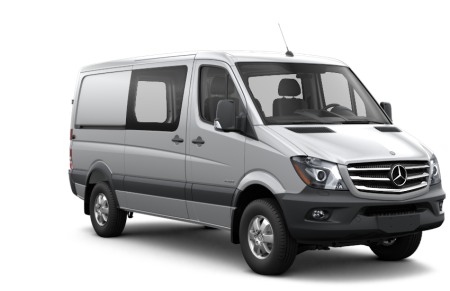 If you are going for the Sprinter Cargo Van 3500, then you still have several 4X4 options. Four-wheel drive is available on the 144-inch wheelbase with the High Roof as well as both normal and extended High Roof 170-inch wheelbase models. Four-wheel drive is not available with a Super High Roof. The Crew Van gives you the best of both worlds between the Passenger Van and the Cargo Van, and it also has 4X4 options. The 144-inch wheelbase has four-wheel drive available on both the High Roof and the Standard Roof. The 170-inch wheelbase only has four-wheel drive available on the High Roof. 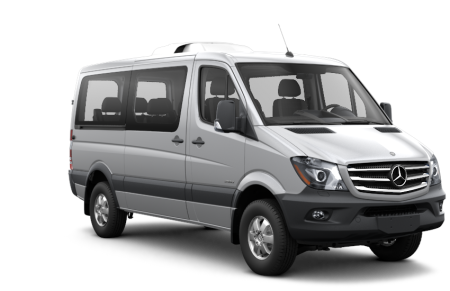 Yes, even the Sprinter Passenger Van is available with a four-wheel drive configuration. It is only available on the 144-inch wheelbase model but has both Standard Roof and High Roof options available with an interior standing height of 64.1 inches and 75.5 inches respectively. Having four-wheel drive in your fleet van will make travelling through inclement weather, in rugged job sites, or on un-maintained country roads a lot more forgiving. You also get the benefit of an increased ground clearance and better stability through electronically controlled adaptive torque distribution. 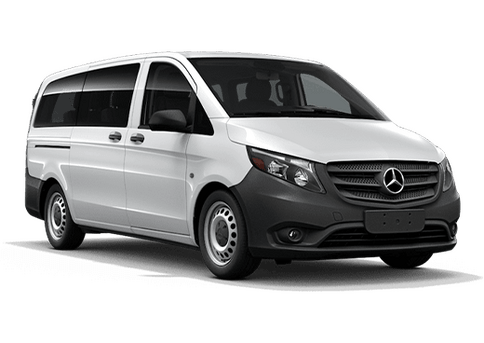 This entry was posted on Wednesday, September 13th, 2017 at 10:01 pm	and is filed under Crew, Mercedes-Benz Sprinter, Mercedes-Benz Sprinter Cargo Van, Mercedes-Benz Sprinter Passenger Van. You can follow any responses to this entry through the RSS 2.0 feed. Both comments and pings are currently closed.